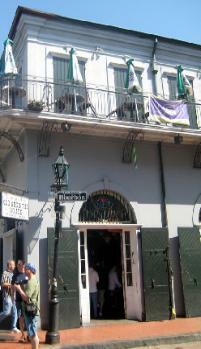 bears today, the "Old Absinthe House." 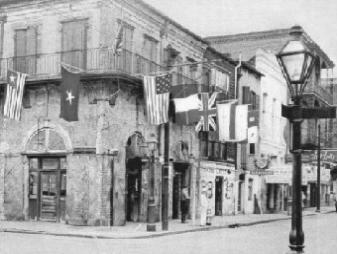 1843, a grocery store; and, in 1861, two of the Aleix brothers converted it into a coffeehouse. 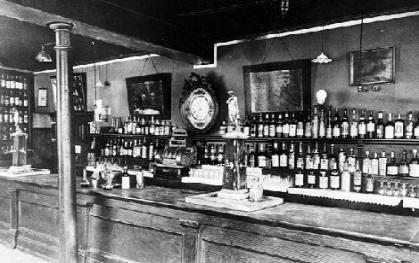 In 1870, they employed Cayetano Ferrer, who was, also, from Barcelona, as chief bartender. seen in the United States. The fountains are still in use in the Old Absinthe House today. 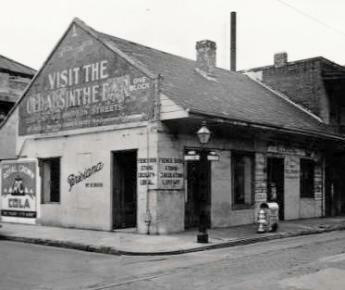 The Ferrer family continued to serve customers in the "Old Absinthe Room" for many years. 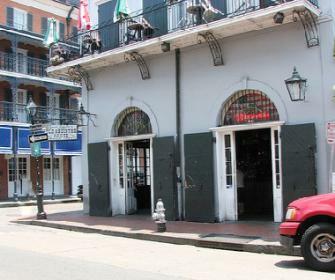 first called the "Old Absinthe House." France during World War I, first created Herbsaint in 1934.
the British and save the city. 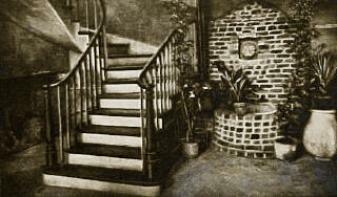 The old staircase leading upstairs....to the secret room? 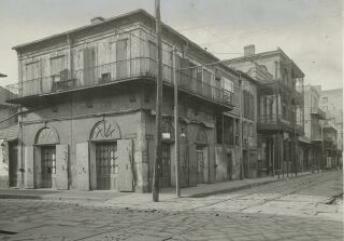 Closer view of the bar and the old fountains, 1903.
across the street from the Old Absinthe House. This photo was taken in 1939.
were the first ever used in the United States. two photos just above this one are courtesy of Flickr and ScottsCaseFiles.